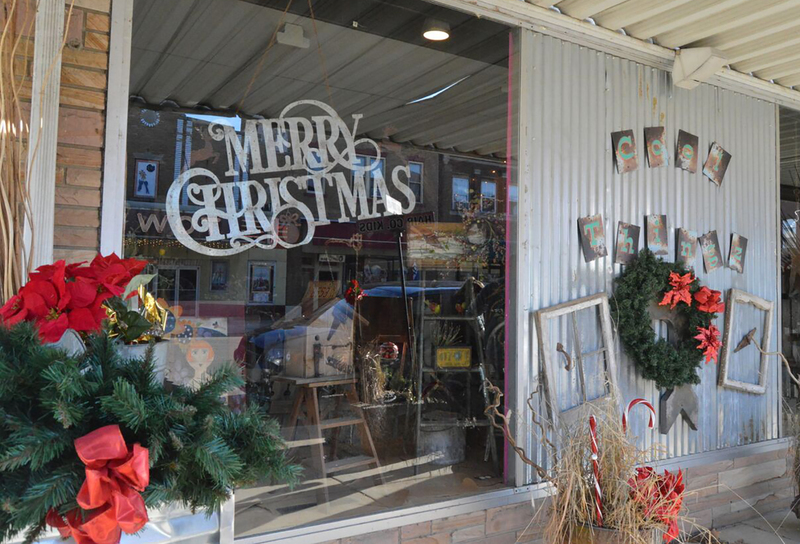 With the holiday shopping season well underway, shoppers and small business owners in Chillicothe have been noticing that business seems to be growing in this small river town. 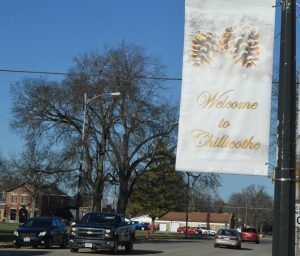 Chillicothe Economic Development Director Rachael Parker concurs that the women’s observations are right on the money. Parker listed at least seven businesses that have opened downtown in the last few years, including a cheesecake bakery, dress shop, candy store, eclectic boutique, gift shop, resale shop and a restaurant. 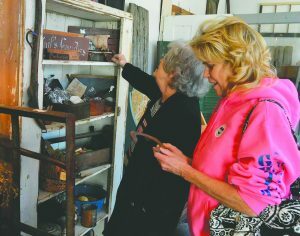 Shop owner Angela Thomas has owned Altered Relics at 1008 N. Second St. for three years and is happy to see other businesses opening up around her. “Chillicothe has really been trying in the last year and a half to two years to boost the retail business down here on Second Street, especially working with zoning and things like that to make sure there are no apartments on the front lower half of the buildings so that retail can come in and people can shop up and down the street,” Thomas said. Affordable rent was a strong reason Thomas decided to open her shop in Chillicothe as opposed to other Peoria County towns. “I actually live in Peoria Heights, but we couldn’t have done this there. The price of rent is way too high up there. So it makes it feasible for small businesses to be able to survive down here,” she said. Parker agreed that reasonable rent helps small locally owned businesses, as does the city’s two tax-increment financing (TIF) districts, which essentially reallocate funds from property taxes to encourage investment within the district. In TIF districts, property taxes that are set to go to an area’s levy-assessing bodies are frozen. Subsequent increases in those taxes are then diverted into the TIF fund, which can be used for infrastructure improvements. “The TIF gets a bad rap sometimes because all the taxing bodies have to take kind a back seat while this development is happening so we can increase those property tax values. When the TIF is over, everybody’s happy because we have new development and we have new money coming in that normally wouldn’t have come in had it not been for the TIF,” Parker said. As an example, Parker cited the new Dollar Tree store located in the former ALCO discount store building on South Plaza Drive. “That building sat vacant for a long time, and finally we got an investor that was interested in purchasing the building and then they rented it out to Dollar Tree. The total project was about $1 million, and the TIF dollars were only $150,000,” Parker said. One of the largest projects currently underway is renovation of the Bacon Building directly across from City Hall on Second Street. Developer Mike Tobin has gutted the building, which formerly housed a gun shop on the lower level, and is creating a mixed-use space with three apartments on the upper level and two retail spaces on the bottom. “This is approximately an $850,000 project and is going to be a big plus to the downtown,” Parker said. In other development, a new Casey’s is going up on Fourth Street in the spring, and a new Dollar General will soon start construction a few blocks north of there. As for future development, Parker said she’d like to see a department-type store open in town, as well as a hotel with conference center meeting space. 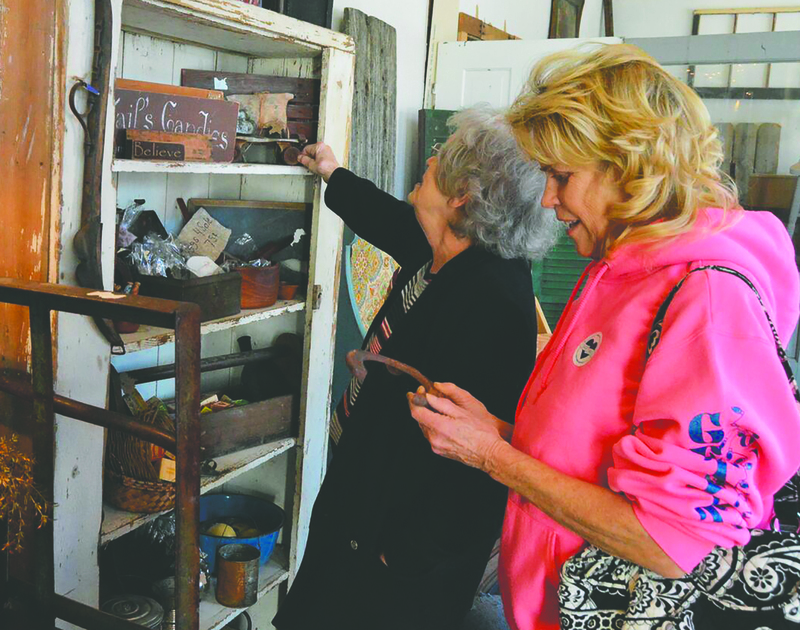 Angela Thomas said walk-in traffic to her Altered Relics store has increased since the opening of a new restaurant, Odie’s, on the next block. “We’ve noticed a ton of after-lunch traffic. People go to Odie’s and have their salad bar and soup, and then they come down here and shop around,” she said. One of downtown’s newest business owners, Bernardgieo Greene, said the town has been supportive of his Unity Barbershop on Second Street. The shop features an air hockey table and video games to give kids a place to hang out and talk to each other while getting a haircut.